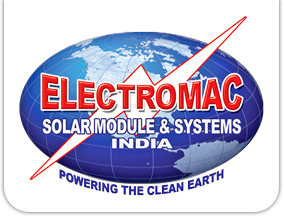 In the year 2006, in the industrial town of Parwanoo in Himachal Pradesh was established Electromac Solar Module & Systems India. The company under the determined leadership of its CEO Mr. JK. Surjan became an acknowledged manufacturer and exporter of solar equipment. The success of the company is attributed to the manufacture of premium quality products and customer satisfaction. The state-of-the- art infrastructure that is well equipped with the latest and sophisticated equipment is the pride of the company. Our resources have also enabled us in manufacturing and exporting cost effective products in the market.The employee base of the company consists of trained and competent experts who look after the entire production process. Over the years we have been able to nurture a well coordinated business network that is spread far and wide across the globe. Our network has enabled the timely and proficient delivery of our products in the market. Through unrelenting hard work over the period of time, we have been able to build a name of repute for the company. Ever since the inception of the company our proficiency lies in delivering fine quality merchandise. We offer an array of products with a guarantee of premium quality and performance. The products are tested on varied parameters before they are supplied in the market.